If you are visiting Turin there is never not a good time to eat gelato in this North-Western Italian city. 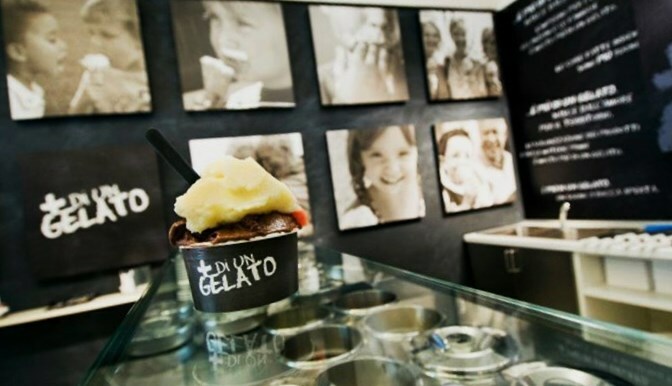 You will be truly spoilt for choice about where to go for gelato in Turin and the wide range of flavours to indulge in. 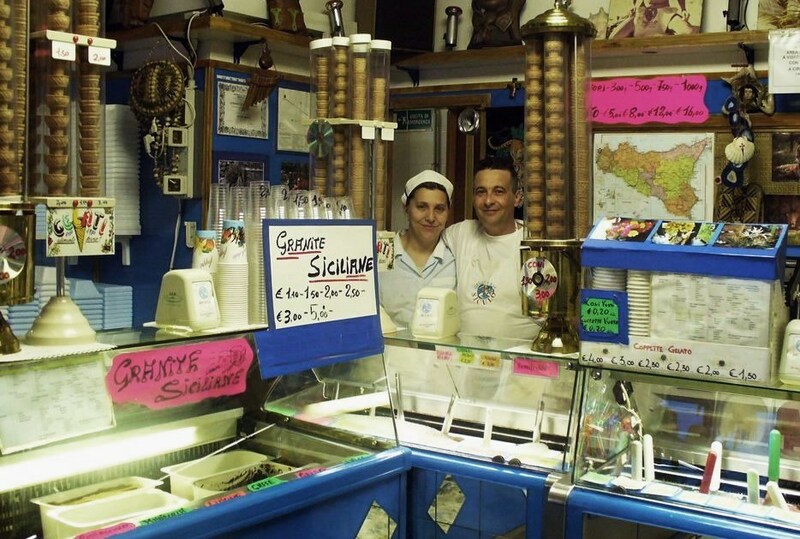 At Turin Italy Guide, we asked locals in the know and came up with top 10 gelato shops in Turin that add full flavoured lustre to the streets of Piedmont’s capital. One of the first gelato makers in Turin specialising in home-made gelato, Silvano Moschini first flung open the door to this shop in 1960. 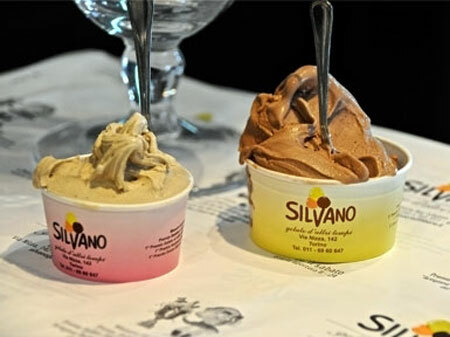 With awards from Slow Food and Maestri Gelatieri (Master gelato makers) in recognition of Silvano’s dedication to excellence, their chocolate (cioccolato), rice cream (crema di riso), orangecream (crema di arancia), green apple (mela verde) and Gianduja flavours are not to be missed. Look out for their gluten free range. 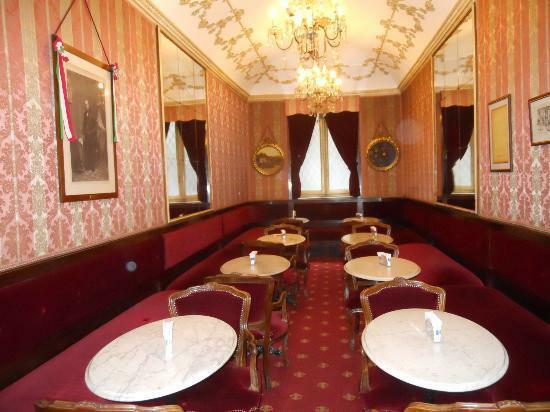 King Carlo Alberto used to demand daily reports about the flavoursome political gossip from this historic Turin café establishment. 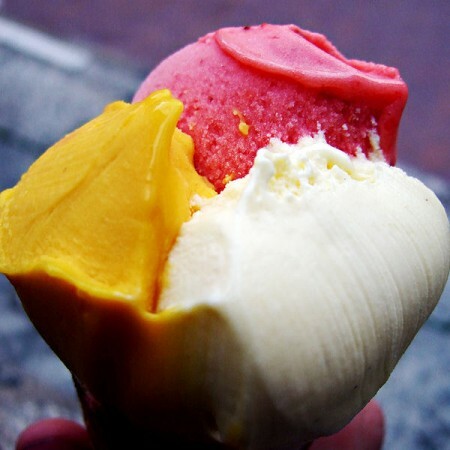 However, it is simply the gelato that stands out these days. In business since 1780, you can order an extravagant ice cream sundae glass full of fruit or cream flavours or a more modest dish of your favourite. Their cioccolato fondente is delicious deep dark chocolate decadence. 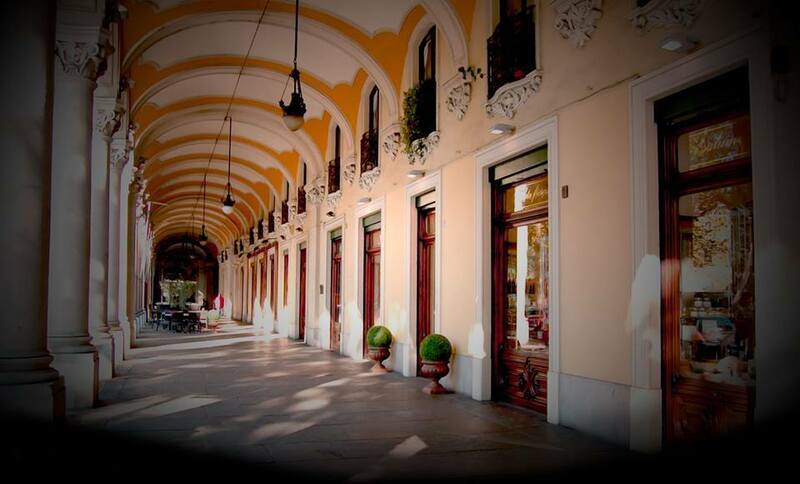 As well as their main address in via Po, Fiorio has other locations around the city, for example in Piazza Castello and Piazza Gran Madre di Dio, 2. 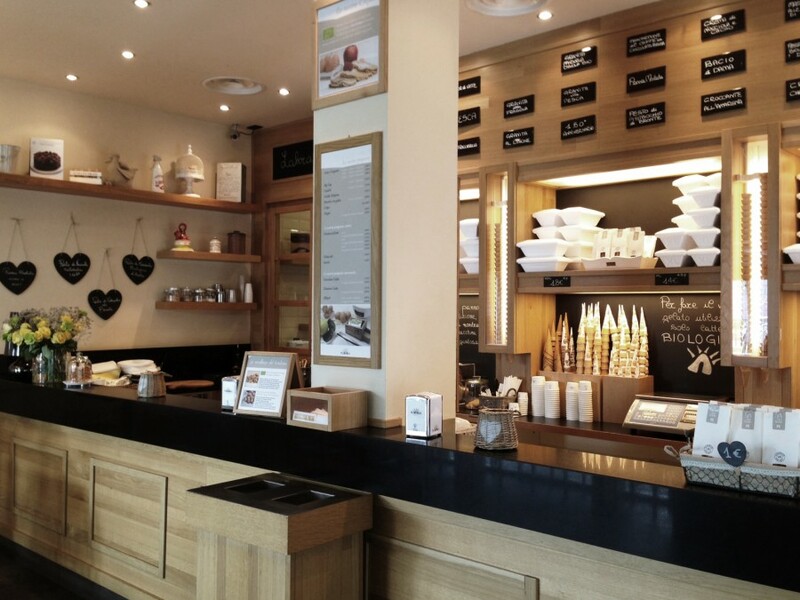 In the heart of Piazza Castello, this gelateria (which also doubles up as a café) offers a luscious array of flavours. Most famous for its mascarpone, it also serves up fondente nero (dark fondant chocolate), nocciola (hazelnut), lamponi (raspberry), pistacchio, Madagascar vanilla, cannella (cinnamon) and yoghurt. Their smooth fruit sorbets are also a must with classic lemon and the more unusual flavours of mandarin, blood orange, pear and grape. 100% natural this gelato chain uses no artificial flavourings. Founded in Turin in 2002 by Guido Martinetti and Federico Grom they now have locations in New York, Paris and Tokyo. Flavour of the month this January is Zabaione al Torrone (made with Marsala wine and crunchy hazelnut nougat) – a fresh, crispy twist on Piedmont’s traditional beverage/dessert of egg yolks, sugar and Sicilian Marsala wine. Specialising in gelato and sorbets this place is packed out in the summer months. The queue is so long you will need to grab a ticket (which is slightly disconcertingly reminiscent of lining up at the Post Office). Never fear though, the staff are fast and you’ll have your delicious gelato in no time at all. Competitively priced some of the more unusual flavours are viola (violet), maracuja (passion fruit), anice (aniseed), gelso bianco (white mulberry) and mandorla (almond). You can go large and create a real mountain out of your dessert with a whipped cream topping and biscuits. To be saved for later on in the year, this gelateria is closed in the autumn and winter during which time, the owners go on holiday. When they open again after Easter, the walls of Siculo will be adorned with the stunning pictures of their holidays. Admire the beautiful beaches of Australia, the impressive national parks of the USA and breathtaking monuments of Europe while you eat. Gerla is much more than a gelateria but it makes our list of Top 10 gelato in Turin because it has been serving its deliciously delicate gelato and fruit sorbets since 1927. Some of their most popular cream flavours include nocciola (hazelnut), cioccolato (chocolate), fior di latte, (milk) and marron glace. For fruits try pesca (peach), kiwi or frutti di bosco (fruits of the forest). Either sit in the elegant surroundings of the historic café or, in the warmer months, order a cone or cup from the window outside and eat under the shade of the porticos. 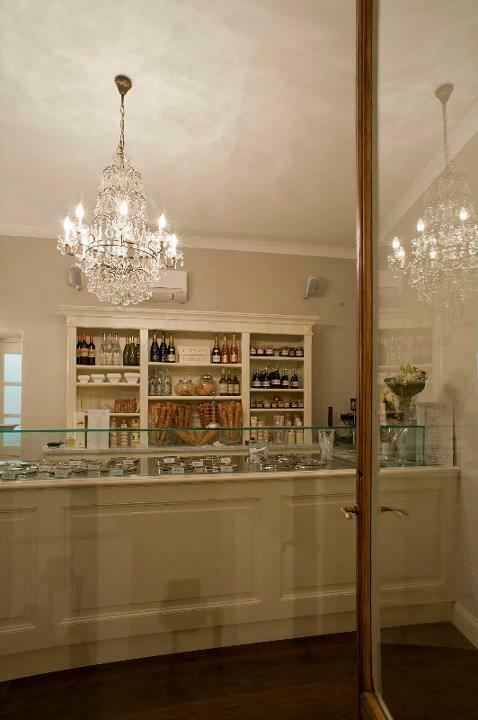 Gerla, however, is also a café, restaurant, pastry shop and chocolatier and has cafes in the Galleria Civica dà Arte Moderna (GAM) and the Borgo Medioevale di Parco Valentino. This historic café and gelateria founded in 1884 was granted a royal warrant to supply the House of Savoy with its decadent products. Fast forward to 1939 when Pepino became famous for inventing the ‘Pinguino’ – an ice cream on a stick, covered in chocolate. Flavours to look out for are their menta (mint) and viola (violet). And their home-made creamy gelato flavours are definitely worth a try. The pistacchio and noccciola (hazelnut) are divine. Along with the original historic café, Pepino’s has opened a new gelato shop, Pinguineria Pepino, on Via Rattazi. Their fruit gelato are seasonal and their cream flavours are a real treat. An extensive choice is chalked up onto blackboards that adorn the walls of this fabulous shop. Our personal favourite is fior di menta (mint) but you can’t go wrong with classic stracciatella (chocolate chip ice cream), cioccolato extra noir (extra dark chocolate) or caffe bianco (white coffee). All we have to say is you will find that once is not enough! 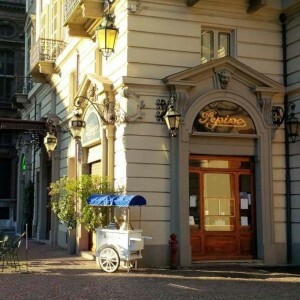 This ice cream parlour has only recently opened in Corso San Maurizio in Turin but its history goes way back to 1929 when the first shop opened in the nearby town of Moncalieri. 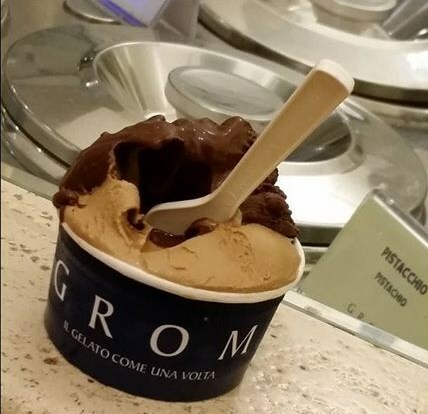 The majority of the home-made gelato flavours are Piedmont classics such as fior di latte (milk), crema (cream), cioccolato (chocolate) and Gianduja (hazelnut cream). Go for an updated interpretation of torroncino (nougat) with torrone di nocciola (hazelnut nougat) or torrone di pistacchio (pistachio nougat). A special thanks to Valeria Ferrero, Emanuela Moroni, Denise Otero, Emanuela Peila, Lara Statham and other locals who offered their opinions on the popular places to enjoy gelato in Turin. There were many to choose from so we are sure there will be a follow up article about where to find the best gelato in Turin in the future!